Thank you for visiting the Office of Institutional Advancement webpage. The Office of Institutional Advancement (OIA), formerly University Relations, is charged with enhancing the university’s brand awareness, partnering with the Harris-Stowe Alumni Association to reconnect and engage alumni and developing and implementing comprehensive fundraising campaigns. The OIA offers professional counsel and marketing communications services that meet the goals and objectives of the university's strategic plan, mission and vision. Our staff is committed to the internal and external promotion and publicity of Harris-Stowe events, programs and initiatives. The OIA staff is committed to working hand-in-hand with the entire Harris-Stowe family -- faculty, staff, students, parents, alumni and the community -- as we strive to develop and implement the educational goals of the University. 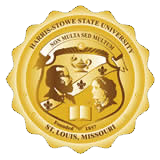 We invite you to find your place at Harris-Stowe by calling (314) 340-3300 for a campus tour. Visit us on Facebook and Twitter. It’s a Great Day to Be a Hornet!